ShoeDazzle, founded in 2009, leads the pack of footwear subscription brands and is just one of three brands to receive perfect scores for website and email channels. At its advent, the brand tested different membership models and has been innovating with ingenious personalization experiments since its acquisition by TechStyle Fashion Group in 2013. With the aim of retaining customers, it re-established a subscription-based model and reportedly regained 100,000 of its old members. ShoeDazzle onboards new customers with a style quiz then offers filtered recommendations and a handy sidebar for shoe addicts to keep track of VIP points. The site powers an uber-customized “My Showroom” section, to highlight curated recommendations, complete with customer reviews and among the most granular product recommendations of the brands evaluated in the Index. If you’re a specialty retailer, this should be your inspiration. ShoeDazzle curates high-performing content and product suggestions for a shop-til-you-drop digital experience. 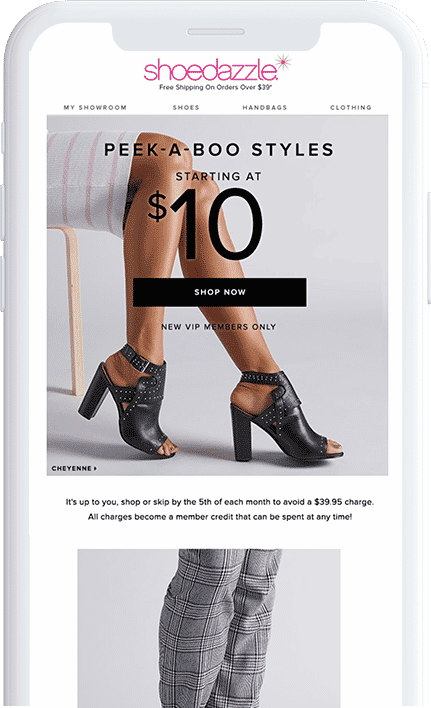 Like its sister site JustFab, ShoeDazzle’s emails are hyper-personalized for its members, personalizing subject lines, send times, products based on interest, historical behaviors, product categories, and much more. They also contain relevant updates about their VIP points. And because ShoeDazzle allows customers to control the cadence of marketing messages, they hear from the brand as frequently as they want. ShoeDazzle shoppers begin their experience by taking a style quiz, letting the brand know about their style preferences. That gives ShoeDazzle a starting point with product recommendations, which only get more personalized and relevant as people engage more with the brand’s website. 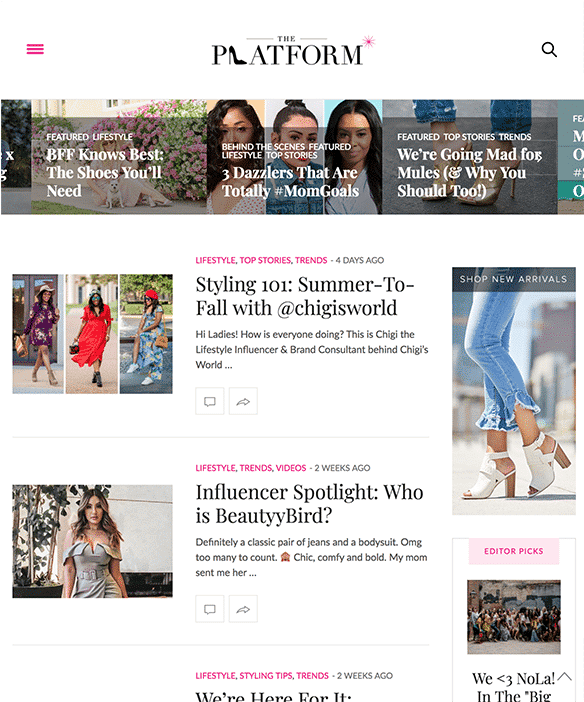 ShoeDazzle’s blog, The Platform, blends content and commerce by seamlessly integrating products into articles about all things shoes, fashion and trends. For example, a post about mules incorporates three drastically different styles to appeal to different shoppers… with links to their product pages, of course.